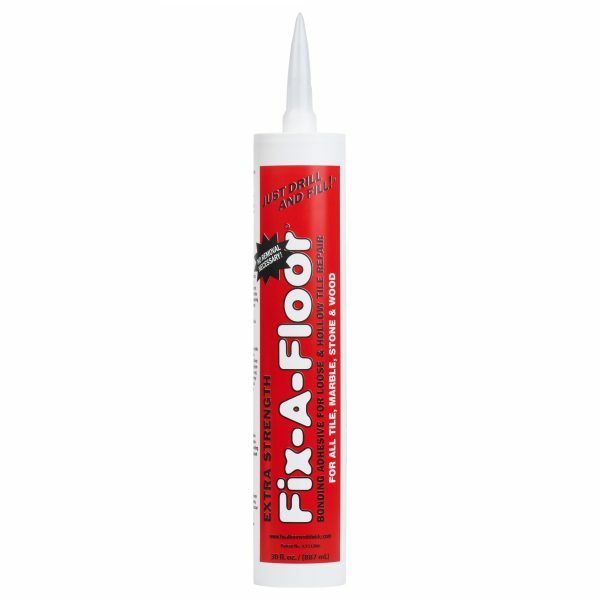 LARGE bottle Fix-A-Floor Extra Strength Bonding Adhesive for Loose and Hollow Tile Repair comes in 30 fl oz / 887ml Tube. Fix-A-Floor extra strength repair bonding adhesive is suitable for tile, marble, porcelain, stone or wooden floors. It even works on surfaces with underfloor heating. Fix-A-Floor Repair Adhesive “patented”, is an Extra Strength Bonding Adhesive customised for the specific use of Re-Bonding loose and hollow tile, marble, stone & squeaky wood floors without the headache and mess of removing or replacing them. 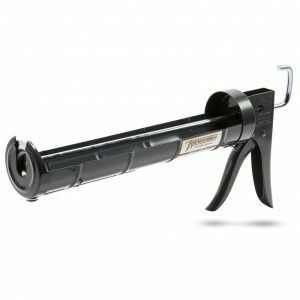 Fix-A-Floor is a simple do it yourself repair that is fast, easy and affordable not to mention fun and quite rewarding to anyone who can operate a drill, caulking gun and mix up a small batch of grout. Works on all sub-floor materials. – Check out our “Hot to” videos on the website to see just how easy it is to repair your loose and hollow tile floors without the need and huge expense of removing or replacing your tiles. Fix-A-Floor Repair Adhesive is Strong & Flexible with elastomeric bonding properties to eliminate any future problems due to foundation settlement, expansion & contraction of the sub floor as well as poor original installation… Fix-A-Floor has been designed to be fluid and runny so that it flows and completely covers the void underneath your floor. It then uniquely sets hard and solid meaning no more loose & hollow floor tiles. To see Fix-A-Floor Bonding adhesive in action check out the instructional videos which demonstrate just how easy it is to repair your loose and hollow floor tiles. Used by professionals for years, now YOU can fix your floor with Fix-A-Floor!!! Fix-A-Floor is Non-Toxic, Non-Flammable & Eco-Friendly! Large problem area or small problem areas are no problem with Fix-A-Floor! Guaranteed for the life of your floor! Just Drill & Fill!! Fix-A-Floor is suitable for use on all types of tile and wooden flooring including Tile, Porcelain, Stone, marble. Fix-A-Floor is available in single bottles, and Packs of 3, 6 and Boxes of 12 at discounted prices. Fix-A-Floor extra strength repair bonding adhesive suitable for tile, marble, porcelain, stone or wooden floors. It even works on surfaces with underfloor heating.